I was watching Bank of America's Bruce Hammonds, Citigroup's Vikram Atal and Chase Bank's Richard Srednicki testify before the U.S. Senate Committee on Homeland Security and Governmental Affairs on C-Span today. The hearing's title was "Credit Card Practices: Fees, Interest Rates, and Grace Periods." It was a very good discussion and I'm glad I caught it. Lots of hard questions were asked, and I learned quite a bit from the responses, comments and complaints made by hearing participants. 1) I'm very much against the marketing of credit cards to high school and college students. My credit woes (which are now ancient history) began in college when I lost my head with a credit card. I just learned today that the credit card companies pay schools for the right to shower kids with credit card offers. Should a kid with no experience with finances, working (maybe) a part-time job at minimum wage have a credit card? I don't think so! A college or high school student should have a prepaid debit card that can be monitored by parents online. Yup. Of course, the credit card companies should not shoulder all the blame: by accepting money from banks and credit card firms, colleges and universities are complicit with this dubious practice. Not good. 2) The way the credit card companies calculate the so called "grace period" needs to be fixed. There are credit consumers out there who pay their balance in full each and every month and still get stuck with interest charges because they don't really understand how the grace period rules work. Bottom line: the grace period rules are confusing, and industry leaders need work on improving the way grace periods are structured. 4) The use of the term "pre-approved." Nonsense. Some time ago I had an application declined, and it was initiated from a so-called "pre-approved" credit card offer. The experience really boiled my blood, especially because any rejection can cause your credit score to decline. 5) In my opinion, "fixed" should mean fixed, all the time, every time. Is that too much to ask? Under current federal law, a "fixed" annual percentage rate (APR) on a credit card means that the credit card company can change the so-called "fixed" rate as long as they give you 15 days notice of the change. To be fair to consumers -- especially those who are new to credit cards -- credit card companies should instead use the term "conditionally fixed" or "provisionally fixed." A guy named Wesley Wannemacher, who had money problems back in 2001, testified about how a $3,200 credit card debt ended up costing him a total of $6,300, and, according to last month's credit card statement, he still owed $4,400! Yikes! Wannemacher was charged an over-the-limit fee 47 times. Chase Bank's Richard Srednicki apologized to Wannemacher for the experience, and pledged to have Wannemacher's credit card debt forgiven. Yup: he actually apologized. Now that was something to behold. O% Intro APR offers: love 'em! Credit card debt is unsecured! even if you decide to totally blow off your credit card debt, no one will come and take your home, your car, your first-born child, etc. Fraud protection: with most credit cards out there, if you get ripped off and you paid with a consumer credit card, you can dispute the charges (chargeback.) Furthermore, If someone gets hold of your credit card and goes crazy, in most cases you won't be responsible for those charges. The Internet makes it easier than ever to pay your bill on time. Even if you don't have an Internet connection, you can always stop by your local library and get online from there. And the industry should be commended for instituting payment tools like scheduled payments, automatic payments and email alerts (I use them all), so even the laziest of the lazy need not worry about late payments. Competition and regulation keep the banks and credit card firms in check. Don't like the terms with one card? Switch to another! No one is forced to open a credit card account! Convenience and Tracking: Who wants to carry wads of cash around all the time? Plus, it's much easier to track your spending when you use a credit card. Compared to 20-30 years ago (yes, I'm quite old! ), credit is very easy to get today. Furthermore, interest rates were in the 20% range for everybody back then! And the fees! 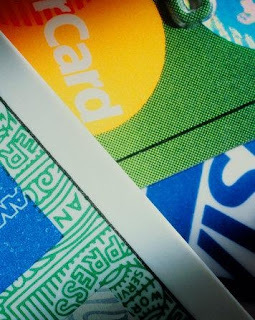 How many credit cards (credit cards, not charge cards) do you have in your wallet that charge and annual fee? I'm willing to bet none. Individuals with credit card accounts who run into serious financial dire straits should keep in contact with each credit card company and workout a payment plan. I think a lot of people who run in to trouble with their finances get scared and try their best to hide from their creditors. Big mistake! "...Citi is eliminating the industry practice of increasing interest rates for individual cardholders due to their defaults on financial commitments with other parties, sometimes known as “universal default”. Until now, Citi has given customers the right to opt out of any such increase. But with this announcement, Citi is going even further, abandoning the practice altogether for all customers. Citi is also eliminating “any time for any reason” increases to the rates and fees of its customers’ accounts. Traditionally, credit card issuers have taken the position that they can increase the rates and fees of a cardholder’s account at any time for any reason; for example, to respond to general conditions in the financial markets. As a result of the new policy, Citi will not voluntarily increase the rates and fees of the account until the card expires and a new card is issued (typically two years). Now, the only reason the rates and fees will increase before the card expires is if a customer pays Citi late, exceeds the credit limit or pays with a check that bounces. When the interest rate on the card is linked to the prime rate, the rate would change only as the prime rate moves up or down..."
Kudos to you, Citi, for moving in the right direction. Bank of America does not today, and has not in the past, engaged in the practice of Universal Default. Kudos to you, BofA. The folks at Discover Card recently agreed to remove the Universal Default clause from the terms & conditions related to their credit card offerings. A gold star for you, Discover. Double-cycle billing is one way that you can end up paying interest on charges even though you've been paying your balance in full each and every month. The folks at Chase recently announced that they won't engage in the practice of double-cycle billing anymore. They also announced that once an account is assessed an over-the-limit fee, Chase will stop adding new over-the-limit fees after 90 days. In 2006, Chase Card Service made $3,206,000,000 in profit, accounting for 22% of Chase's overall earnings. Profitability for large credit card issuers was in the 3.6% to 4.1% range between 2003 and 2005. Right now there are 6,000 credit card issuers in the United States. 41% of credit card account holders pay their balance in full each month. The Discover Platinum card does it again, with the combined varieties taking the number one spot. On a personal note, the number of credit card solicitations I'm getting in the mail has spiked in a serious way; probably has something to do with the fact that my credit score recently jumped into the 790+ zone. Most of these offers are very tempting, from 0% intro APR for 18 months, to 0.79, 1.99, 2.99, 3.99 and 5.99 from 6 to 12 months. Even though my zero APR surfing days are just about over, and opting out of receiving solicitations is really not that difficult, I still like to receive these offers, just in case I decide to keep some extra cash in the bank and transfer my business credit card debt to a zero percent offer at some point. It's really all that waste that bothers me. All that paper. These days, I need to empty my paper shredder on a daily basis, because I'm shedding so much unsolicited mail. And I'm not even getting all of it: I still have a rather large mound of stuff I need to shred on my second desk, and it's slowly growing larger. I need to take a small vacation just so I can get rid of all of it. Of course, I can't just throw it out without shredding it, because most of these solicitations contain my some of my personal info, you know: the stuff the identity thieves look for. I paid close to $4,000 yesterday to get rid of my personal credit card debt. Letting go of that much cash wasn't easy, but it was the right thing to do. I could very easily qualify for another great 0% offer right now, but I've been surfing 0% offers for years, and it's starting to feel like I'm using them as a crutch: being in debt is still being in debt, even if you're not paying any interest on it. I may buy a home soon, so being debt free when I'm ready to get my own place would be optimal.